This sucka is triple X rated. Poly Styrene & X-Ray Spex were something of an anomaly, a female fronted band of the original British ‘77 punk movement with no real antecedent & no real parallel. Their sound, style & energy were strictly their own. They were always one of a kind. They never took themselves too seriously, yet had enough ability & unique attributes to make their own way. They were the epitome of the punk movement...start playing live shows after just one practice, release a few singles, one album, & have a personal point of view. 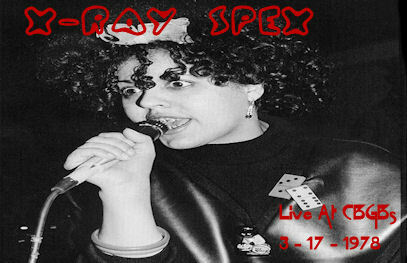 In March of 1978, X-Ray Spex played a short residency at CBGB's. This recording came from their March 17th show. Judging by musick levels & audience noise, this was probably recorded through the soundboard. 12 songs, 2 encores & pretty good sound for what it is. Not much needs to be said here. The first single released by Los Angeles band X. Exene Cervenka on vocals, Billy Zoom on guitar, John Doe on bass & vocals, D.J. Bonebrake on drums. Essential. Xmal Deutschland formed in Hamburg, Germany in 1980, originally an all-female band.Founding members included: Anja Huwe - vocals; Manuela Rickers - guitar; Fiona Sangster - keyboards; Rita Simon - bass; & Caro May - drums. Their first single, "Großstadtindianer" was released in 1981 on the ZickZack label. About this same time, Rita Simon was replaced by Wolfgang Ellerbrock. In 1982, a U.K. tour opening for the Cocteau Twins resulted in a label deal with independent label 4AD Records. Xmal are masters of eerie, gothick musick sung in their native German, with beautiful bass driven melodies & searing, though icy, guitar lines. Tocsin, Xmal Deutschland's second full-length album is arguably the bands creative high point. It is undoubtedly less bleak than their first record, but by no means saccharine. 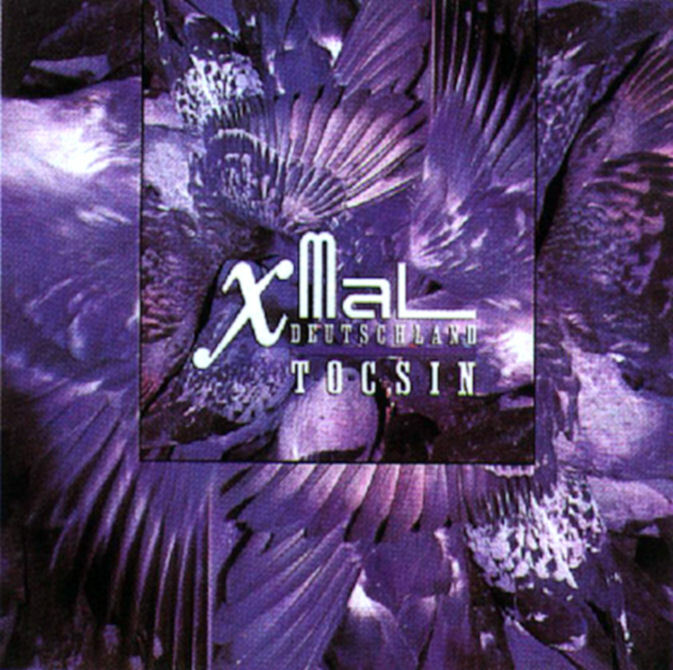 These songs are somewhere in the middle ground between the neo-psychedelic 4AD tradition & the more aggressive sound of Xmal’s earlier offerings. The tension created by the disparate styles serves the band well. This is some tasty blend. The line-up here is as listed above with the exception of: Peter Bellendir - drums. All of these look great, but I'm really looking forward to the Xmal Deutschland album, which I haven't heard. Thanks for another great post. Thank you for Spex & X! That was a great one, used to play that on local new wave disco nights of the alternative kind... THANKS ! Great album ! Thx ! Thanks for posting this, I parted company with my old 4AD vinyl copy many years ago & really regret it now... great to hear it again.